Fleets and company car drivers will save money by choosing to drive Mazda6 diesel or Mazda2 petrol models following reductions to CO2 emission figures for these cars. The improvements deliver lower Vehicle Excise Duty (VED) and, for company car drivers, reduced benefit-in-kind (BIK) tax on some models. For the Mazda6, the improvements bring a CO2 reduction on all Mazda6 2.2-litre 5-door Diesel 163ps and 180ps models - dropping from 142 to 140g/km, which means a £15 a year VED saving as models drop from Band F (£130) to Band E (£115). Meanwhile, a 5g/km CO2 reduction (138g/km to 133g/km) on all 2.2-litre 5-door Diesel 129ps models, including the recently launched fleet-focused Mazda6 Business Line, drops them into the 19 percent BIK tax bracket (previously 20 percent) in 2011/12. On the Mazda6 2.2-litre 5-door Diesel 129ps TS model the emissions cut delivers a BIK tax bill saving of £3.31 per month (£39.66 per year) for basic rate taxpayers and £6.61 per month (£79.32 per year) for higher rate taxpayers. 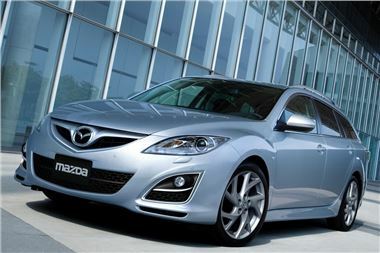 The Mazda6 2.2-litre 5-door Diesel 129ps Business Line model delivers cash savings of £3.02 per month (£36.26 per year) for basic rate taxpayers and £6.04 per month (£72.52 per year) for higher rate taxpayers. The new ratings also translate into National Insurance savings for employers. Benefits on the Mazda2 include a CO2 reduction on manual 1.5-litre petrol engine models from 135g/km to 132g/km, placing them in the 16 percent company car BIK tax bracket (previously 17 percent) in 2011/12. This means that Mazda2 1.5-litre 3-door Sport petrol drivers save £2.13 per month (£25.55 per year) for a basic rate taxpayer and £4.26 per month (£51.10 per year) for a higher rate taxpayer. Tax bill savings on the Mazda2 1.5-litre 5-door Sport petrol are £2.19 per month (£26.25 per year), while for the higher rate taxpayer the tax bill saving will be £4.38 per month (£52.50 per year). Again, the new ratings translate into National Insurance savings for employers. In addition, CO2 has reduced from 119g/km to 115g/km on all 1.3-litre models, whilst the 1.5-litre automatic drops from 146g/km to 145g/km. Steve Jelliss, Mazda Fleet and Remarketing Director, said: "At a time when corporate and personal budgets are being squeezed, Mazda customers are able to benefit from cash savings through these emission cuts. "The Mazda range is already well-known for its style, specification and reliability, and this development further enhances our value for money credentials," added Jelliss.